Country View Challenges: What's inside my spring box? What's inside my spring box? Hello again, it's Jane here today and I am back today with my 2nd Spring inspiration piece. Thanks so much for all the wonderful comments you left for my debut piece on Friday. I had a wonderful birthday..so much to celebrate in one day! 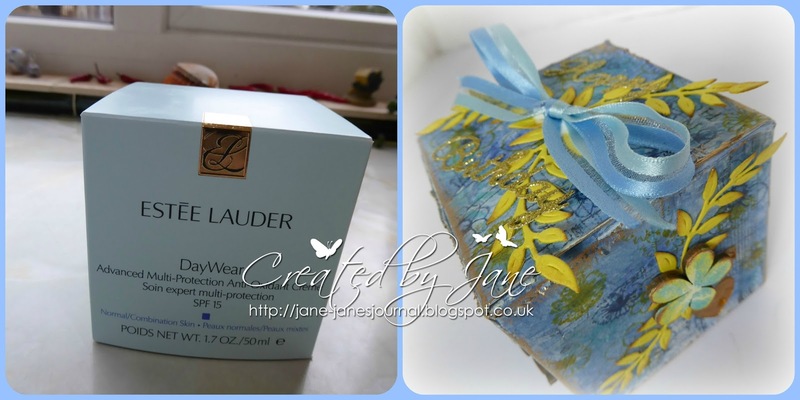 This time I have taken an empty face cream box and transformed it into a Spring gift box. There is also something very special inside....a handmade mixed metal pendant for my daughter's Spring 30th birthday. If you would like to see what's inside the box please pop over to my blog here where all will be revealed. I also have a step by step of how my box transformation took place. I hope I may have inspired you to join in with our Spring challenge which is running until the 30th April. The prize from Susan this month is awesome...the complete set of PaperArtsy infusions...wow I really wish I could enter too. This looks a wonderful transformation Jane. Definitely popping over for a closer look to see what's inside. What a brilliant bit of upcycling... looking forward to checking out the details.